Anna Karavajian is a young businesswoman trying to forget the tragedies of her past, working day and night to rescue the family printing company. Charles Borden III is a wounded veteran trying to recover from the horrors of war, teaching college English, dreaming of success as a TV comedy writer. They meet in a theatre, which is about to be ransacked by robbers busting through the walls with a truck-mounted battering ram. It's not the last robbery that will challenge the passionate love affair between Anna and Charles that begins that night. 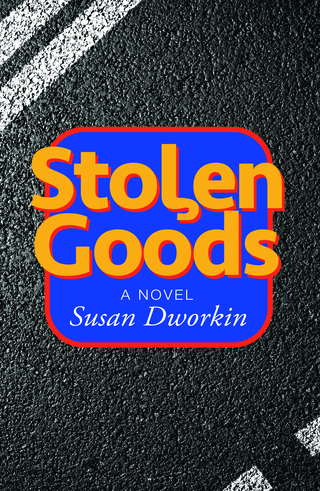 In this tale of an intricate romance challenged by burning moral questions, award-winning author Susan Dworkin has captured the revolutions of our era. Women taking boss power in the workplace as they never did before. Foreign wars being fought about as they never were before. The impact of history on the love that binds two troubled people, brings them unexpected delights and ultimately saves their lives. STOLEN GOODS was recorded for the blind by the Library of Congress, honored by the Armenian General Benevolent Union, and named as an Editors' Choice Selection by the Literary Guild.